First, sorry its been so long since my last entry, a lot of awesome things have happened – so that’s a plus. I’ve spent an obscene amount of time at Sephora and Ulta (I love it) for work and I find that a lot of women just want a simple cleanser, one that won’t wreck her face and her wallet. So, the following is a short list of budget friendly facial cleaners that I have in my bathroom now. Yes, there are a slew of cleansers that can easily be added to this list, but for now we are going to start with what I have in my bathroom today. I will be creating another list of higher priced cleansers that you may only be able to find at Sephora and/or Ulta store locations 🙂 . Ok – let’s get started!! Garnier – To be honest the only reason I picked this up was because Walgreens was having a bogo (by one get one) deal and I just couldn’t resist. Let’s just say that I was pleasantly surprised at the Garnier facial cleanser and scrub. 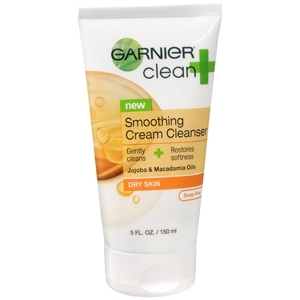 I love the Smoothing Cream Cleanser it definitely leaves your face soft, it’s great for those with dry skin, and great during the cold-dry winter months. I actually love using this as an eye makeup remover it’s really conditioning and my eye area feels great afterwards. Be sure to rinse well and clean gently around the eye area, it’s soap free and the jojoba and macadamia oils supper nourishing. 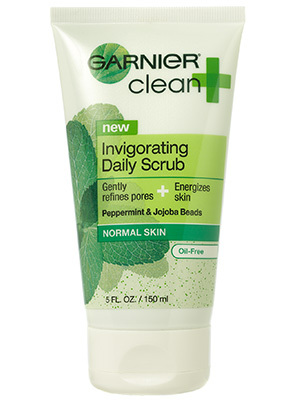 Now, let’s get into this Invigorating Daily Scrub, I like the minty scent a lot – it wakes you up in the morning, the scrub is just right and the peppermint definitely leaves your skin feeling refreshed and energized. The scrub is also great for guys, especially around that beard and mustache area. The scrub is oil free and is great for normal to combination skin. Scrub with caution around the eyes – it can get really minty!! 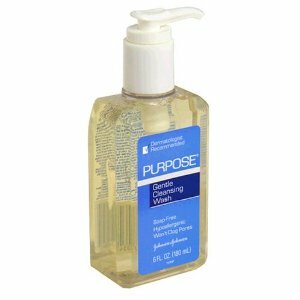 Purpose – My mom put me on to this ridiculously gentle cleanser, her dermatologist that put her on, and now I am putting you on. After turning 30 my face started to do some really gnarly things, I was breaking out like crazy and I was trying any and everything under the sun to clear up my face. My mom gave me my first bottle and within the first week I started to notice a huge difference in my skin; my skin started to clear up, my skin felt so soft and I my skin didn’t feel overly dry after washing. I love this was because it’s soap and oil free, won’t clog your pores, it’s great for removing makeup and its hypoallergenic. Clean & Clear Morning Burst – Sometimes ya just gotta take it back to what worked for you way back when, in my case – high school! Like I mentioned earlier after hitting 30 my skin was like yeah right…I hate you. So when I had the occasional breakout in high school I’d use this stuff and what do ya know…it still works on my skin. I know for some this can dry out your skin and for others it works wonders. I love the awesome smell, it definitely wakes you up and is super refreshing. I also love that this cleanser is oil-free. So that’s it for volume one, I’d love to hear what you think of the four cleansers on this list and any others that you have tried and like to share some info about. Now go clean your face 🙂 ! !